Beauticians in Tarrant County who are low on start-up costs, but still desire to be in business for themselves, might definitely want to look closely at “salon suites for rent in Tarrant County”as a solution. It is the latest trend in the beauty industry and it is a logical solution for someone a bit “strapped” for cash who is looking at renting space for a beauty salon. Want more on this solution? Call (817) 823-7105 for more information from Salon & Spa Galleria. Beauty salons, owned by someone else, is a dead-end road for a talented beautician. Are you tired of working for someone else? You know how it goes. You work hard all week, servicing your loyal customers . . . YOUR loyal customers . . . and at the end of the week you find yourself with a percentage of what was actually made by the beauty shop you work at. The owner takes home the remainder of the money made. You are tired of watching that percentage going to someone else. You built up a loyal clientele because of your skill, and it only seems fair that you take home the bulk of those payments. Contact us if you agree that you should see the bulk of the profits for your hard work. So you take the logical next step, you decide to open your own beauty salon, and you look at retail shops for lease so that you can open your own business, and that is when your dream bubble bursts. Even a small retail shop for rent is beyond your financial circumstances, and then toss in the cost of equipment and marketing and, well, that dream of yours is going to have to wait for awhile. Rent a suite, not a chair! Unless you rent a salon suite from Salon & Spa Galleria; in Tarrant County, Texas, there are ten Salon & Spa locations, for sure a salon booth rental near you, and the salon suite rental prices are beyond reasonable, as low as $50 per week, and with your loyal clientele you can do fifty bucks, no problem, in the first couple hours on Monday. At Salon & Spa Galleria, everything is provided for you. What to expect at Salon & Spa Galleria? The suite, the equipment, the professional page on our website, WiFi, flat screen television, it is all there in one package for a ridiculously low price. Suddenly your dreams look like they have a chance to succeed. Suddenly you are “back in business,” planning for your future. Renting space for a beauty salon just makes good sense in today’s economy. 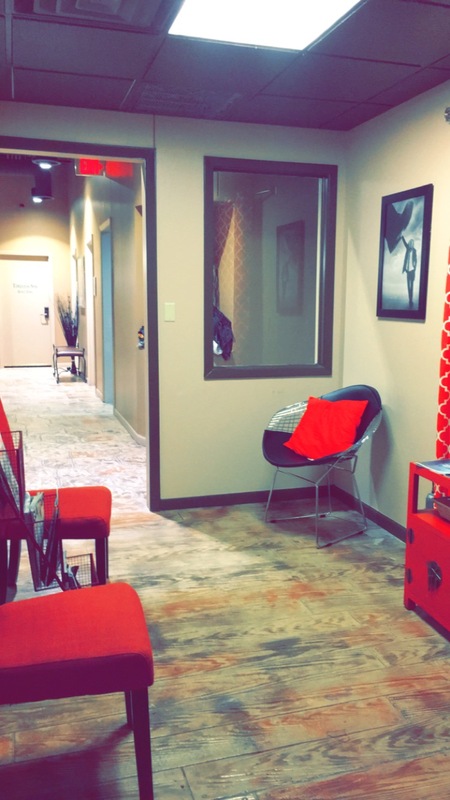 Renting space from Salon & Spa Galleria makes the best sense of all. Renting a salon chair in someone else’s beauty salon makes no sense at all. Nail salon, beauty salon, massage parlor, whatever your specialty is, stop sharing profits with the owner of the salon; start owning your own salon and share all of the profits with yourself. The time for hesitation is over. The time for action has arrived. Salon & Spa Galleria is the answer you’ve been waiting for. Call us now! Salon & Spa Galleria is a full-service salon and spa with professionals who offer a wide range of beauty services. We are one of the fastest growing suite rental salons in Tarrant County, Texas. We have a variety of private and luxurious salon suites for rent that are designed to optimize and fulfill your functional needs as an independent professional. Give us a call if the time is right for you to be your own boss.